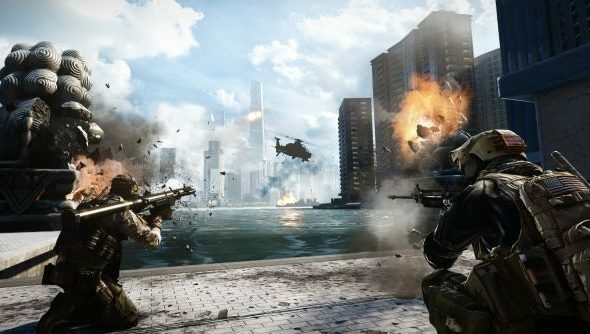 If you’ve managed to have any hands-on time with Battlefield 4 during its open beta, you may well have found that the game is exceptionally similar to predecessor Battlefield 3. Executive Producer Patrick Bach has revealed that the game’s closeness to its older brother is a distinct development choice, rather than simply creating an incremental upgrade. Talking to VG247, Bach acknowledged that Battlefield 3 was seen as a massive leap forward for the franchise, in part due to the long period since Battlefield 2, and the vast number of changes made to the game. This time however, changes are more discreet to ensure that they’re not change for the sake of change. “For us, it’s about creating the best Battlefield game that we can ever create. Staying true to our core values; staying true to what we feel is best for the franchise. With Battlefield 3, we set quite a high bar and we know it’s hard to beat that especially since BF3 was in development for such a long time,” he explained. By keeping Battlefield 4 similar to Battlefield 3 – which remains very popular – players can feel instantly comfortable. It also should emphasise the changes when players actually get in game; with the majority of changes going on “under the hood”, it won’t be until players actually get to experience the progression and beats of the game that they’ll realise that there has been two years worth of work in Battlefield 4. “The biggest changes cannot be seen in trailers or screenshots, but when you pick up the controller,” said Bach. We think he meant keyboard and mouse, though.